Automotive dealerships, once cornerstones of the car trade around the world, are facing uncertain times. While there is more competition between brands and dealerships than ever before, customers are also increasingly exploring alternative ways of shopping for cars. 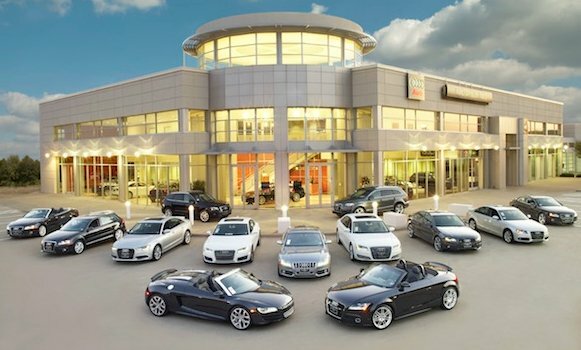 Online marketplaces have changed the sales dynamic, and with a growing number of shoppers turning to used car sites and classified sites to purchase vehicles, many pundits are questioning whether or not the dealership model is obsolete. Building a dealership that can not only survive these trying times, but actually thrive, comes down to one simple question: how well can your dealership adapt to the changing retail environment? Fortunately, the very tools that seem to threaten the existence of dealerships — online sales, social networks, easier access to information via the Internet — can also be harnessed to improve sales. If you want to position your dealership to reap the benefits of these changes, here are some of the tools you should consider adopting. One of the most significant changes the automotive industry has seen over the past decade is a shift away from the traditional sales journey. While at one point it was common for people searching for the best deals to shop around at a variety of different dealerships, consumers are now far more likely to do all of their research on the Internet, only visiting a dealership when they are ready to make a purchase. As any salesperson knows, the key to increasing sales lies in increasing the number of high quality leads you are able to generate, and if you want to get new leads for your car dealership you can no longer simply wait for interested customers to drop by. Instead, you need to actively engage customers digitally, and live chat software is one of the most effective ways to do this. Live chat providers engage web visitors through chat bubbles, and can answer questions about inventory, prices, special offers, and even help potential customers book test drives and apply for financing. Live chat software not only effectively makes your website an extension of your showroom, it also takes the pressure off your own sales team — chat staff focus on generating the leads, and only hand them over to your own sales team when it is time to close the sale. The Internet makes it incredibly easy to gather significant amounts of information about shoppers, and by using that data effectively you can drastically increase the likelihood of making a sale. One of the newest dealership tools is behavioral software that analyzes and scores web visitors based on their searches. Equipped with this data, your live chat team or sales staff can approach a customer with offers and deals tailored to their personal needs. Research has shown that nearly a quarter of people shopping for a car will use Facebook to gather information about which cars they should buy, and dealerships that want to reach these customers need to be active on these platforms. This is why some of the most cutting edge live chat providers are offering Facebook chat integration, which allows dealerships to take advantage of Facebook marketplace and engage customers via social media. In the 21st century, boosting car sales is about more than just offering a good product and advertising it well. Getting ahead of the pack means adopting innovative tools that are geared toward actively engaging customers where they are actually doing their decision making: online. But with dealership chat, customer profile tools, and social media integration, you can expand your customer base, generate leads, and reach more customers than ever before.